Köp Sveriges PotUtenResept mest köpta potensmedel Viagra för henne 93 SEK! Ett av tre potensmedel i Sverige analys innehåller inte vad som utlovas på förpackningen Doc-Sverige.com. View on youtube accessrx.com video. Heart Films – In The Moment (2018) from HEART FILMS on Vimeo. – The Heart Films crew explore hidden zones in Japan, BC and Alaska in their pursuit of endless powder and fun filled adventures…(Subtitled for world wide audience). Heart Films Breakthru（2016） from HEART FILMS on Vimeo. Watch this gripping documentary compiled of a blend of skiing and snowboarding and cheer on the Heart Films Crew as they journey to Hokkaido Japan, Canada, and Alaska – travelling over 10,000 km in the pursuit of good snow and discovering unexplored slopes in a record mild winter of 2016. Through overcoming hardships and challenges – the crew forges on – creating lifelong friendships and progressing their riding to new levels all at the mercy of nature. 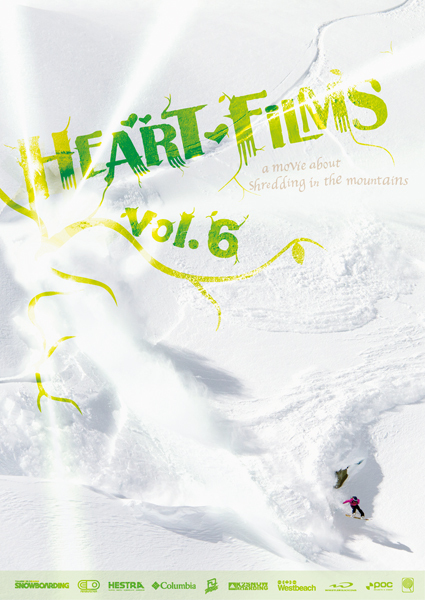 HEART FILMS' 10th Anniversary Movie – GO WILD from HEART FILMS on Vimeo. 10th Anniversary Movie is now available for download! Please check it out and share. In addition to 10 years of banger footage, the movie ends with an epic 10,000 km road trip – where the crew try to find great snow and slopes in Northern BC and Alaska and capture footage while encountering many hardships and triumphs. The crew traveled for 2 months, building their tents far from civilization, getting warmth by only a fire, taking showers only once a week, their base camp – their home – smashed when they got back after a day of filming in the backcountry, their food stolen etc and to top it off, their truck breaks down 100km away from the closest town and in a no cellphone coverage area…Despite these “happenings”, the Heart Films crew overcame all obstacles so they could ride in the best environment and progress and push their riding and survival skills. “GO WILD” includes a compilation of ten years of great footage and interviews of the Heart Films riders expressing their goals and aspirations. The movie tells the story of how the crew has grown and evolved from Tadashi leaving Heart Films to adding skiers to the mix. Captioned in English, this action packed snow documentary will touch and enlighten all audiences. Please watch and enjoy the Heart Films crew’s experiences and growth in their 10th anniversary movie – GO WILD. Feel free to support Heart Films by checking out the past 10 titles from HEART Films vol. 1 (2006) to GO WILD (2015) at heartfilms.com and please share our journey with others. The Doors from HEART FILMS on Vimeo. HEART Films’ 9th Movie “The Doors” is now available for download! Please check it out and share. 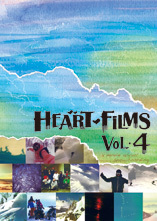 HEART Films vol. 7 (2013) – A movie about shredding the mountains. from HEART FILMS on Vimeo. HEART Films vol. 7 is now available for download! Please check it out and share. A movie about shredding the mountains…Featuring snowboarders and skiers exploring the backcountry of Whistler BC – challenging the terrain and themselves. Having fun riding with friends and pushing each other to new limits and places. If you love riding and you love pow – Heart Films will not disappoint. Please check out all 8 volumes at heartfilms.com for downloads and updates. Features the crew of HEART Films exploring the backcountry on snowboards, skis and sleds to bring you powder filled adventures. Captioned for the global audience. Heart Films, a Japanese film crew founded by Tadashi Fuse, and filmed and produced by Keiji Tajima – the mastermind behind the series starting from HEART Films vol. 1 – brings you this seasons endless pow and breath taking backcountry with – HEART Films vol. 5. Heart Films vol. 4 – MAIN MOVIE – (2010) from HEART FILMS on Vimeo. Heart Films Zero (2009) from HEART FILMS on Vimeo. copyright(C)2008-2011 heartfilms All Rights Reserved.